Nice set from Mothership when the opened up for Corrosion of Conformity in Denver back in November of 2015. Fun heavy rock and roll in the vein of the greats of the 70's. I'm looking forward to seeing them again at the upcoming Denver Electric Funeral Fest in June. Mothership is just a tiny part of a super sick lineup. Ethan from Primitive Man has been doing cool stuff in Denver for a long time. From running BlastOMat back in the day to his various bands including the amazing Clinging to the Trees In a Forest Fire. 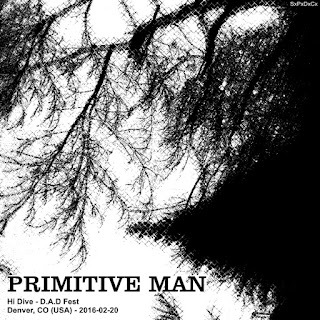 He's continued that with Primitive Man and always being a champion of the Denver scene. 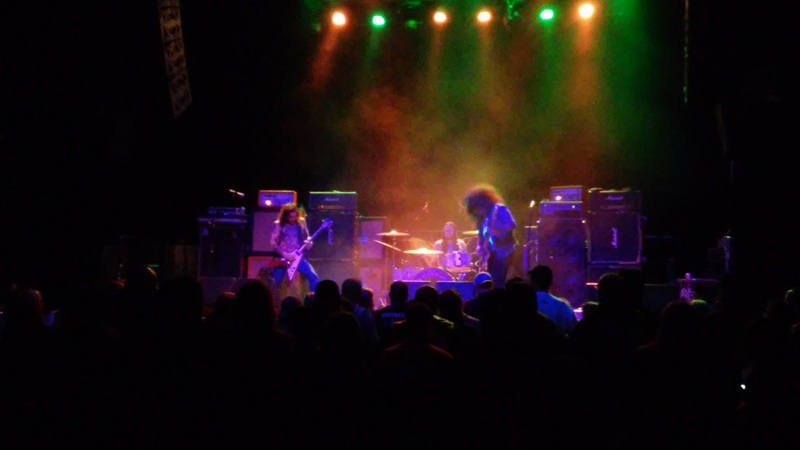 This was the 2nd D.A.D Fest and it showcased a whole bunch of Denver's best underground metal, doom, grind, and heavy bands. 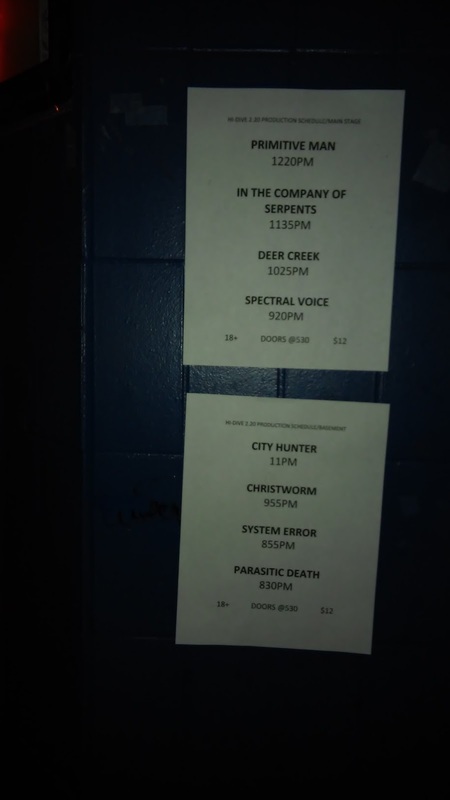 Including In The Company Of Serpents, Deer Creek, Spectral Voice, City Hunter among others. Plus a slew of other bands that placed across the street at Mutiny Information Cafe earlier in the day. Denver is ground zero for some great musical talent. Metal and otherwise. Primitive Man are off on an around the world tour at the moment. Having just finished a European leg than over to play in Japan with Weekend Nachos. Serious road dogs. They tour a lot. If you get a chance to see them live don't miss it. Not for the faint of heart though. My hippy friend saw Primitive Man open up for Sleep back in 2015 and he said they made him sad. 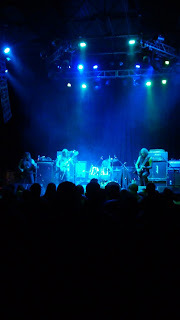 They do play an oppressively, almost suffocating, brand of noisy doom so I can see that reaction from some. But for me it takes me to a happy place. 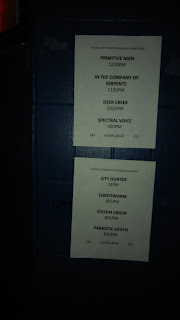 Here is their set at the end of D.A.D. fest. Only 30 minutes but they make the most of it. I think the recording turned out nice. Enjoy. 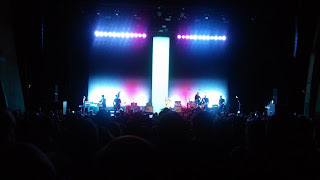 I was intrigued when I heard Iggy Pop was doing an album with Josh Homme from Queens Of The Stone Age. I wasn't blown away when I heard the album. I just didn't get a chance to digest it really. When they announced the tour the ticket prices were a little steep for my expectations too. 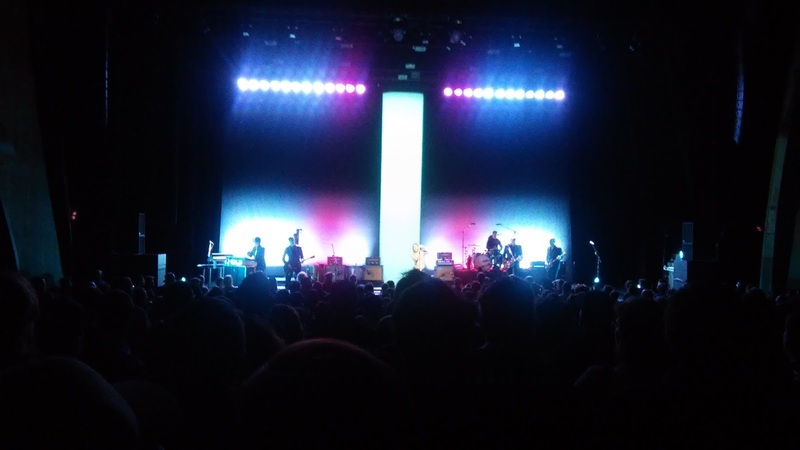 Then two nights before the show I was offered an opportunity to go to the show so I jumped at it. Glad I went. Hearing the songs live really turned on the light bulb. I need to go back and revisit it again after seeing them live. 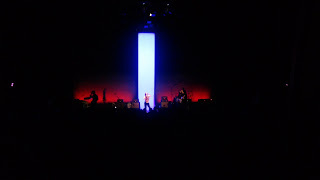 Iggy always puts on a hell of a show and this was no exception. With Josh Homme heading the backing band they were an unstoppable force. The three guitar attack at the end of China Girl was freebirdesk in the best possible way. And Repo Man was in the setlist!!! Amazing. I had a good center spot and the sound in the Opera House was spot on. I think this turned out nice. Enjoy.